Just when we try to keep track of all the different Roshe variations out there, a new one pops up. Just when we try to keep track of all the different Roshe variations out there, a new one pops up. 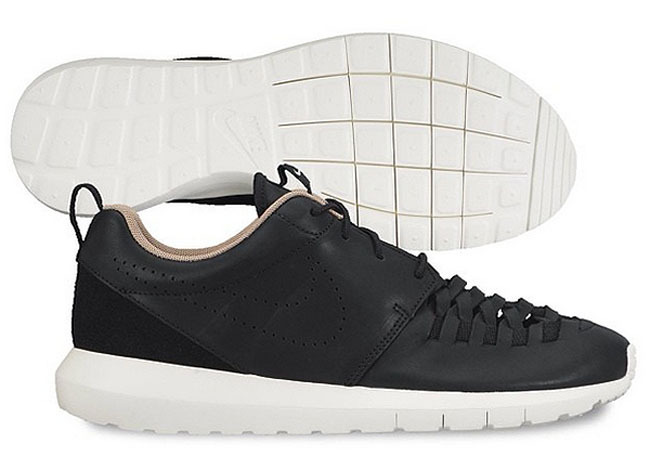 This latest edition features a natural motion outsole, leather upper, and what appears to be a woven nylon toebox. Let us know your thoughts on this version, and check back for more details as they become available. Do you like the look of the woven toebox?